Hello Doodlebugs! 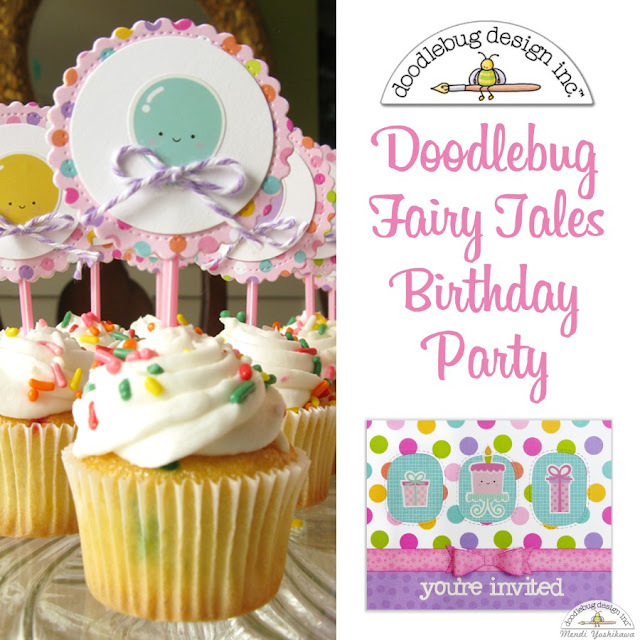 It's Mendi here today will some happy ideas for a girly birthday party using Doodlebug's adorable Fairy Tales collection. I have been smitten with this collection since I first laid eyes on it so when I need some quick invites and cupcake toppers for my daughter's 12th birthday last month, I knew immediately which papers I wanted to turn to. 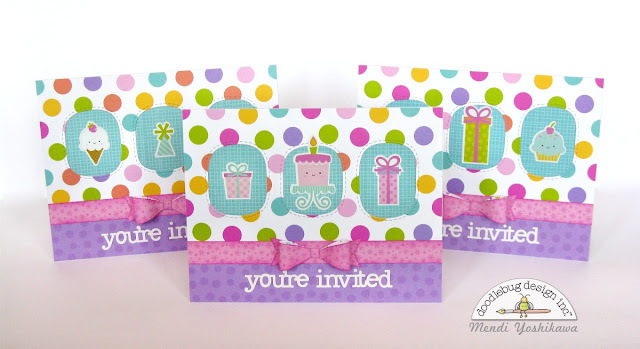 To create my invites I started by die-cutting the fun polka-dot paper using these fun dies from my stash. 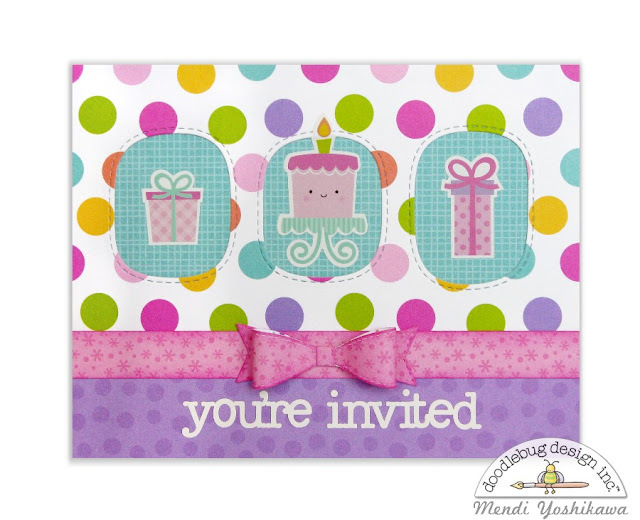 I then used the "You're invited" cardstock stickers and mini icon stickers from the Fairy Tales collection. These are perfect for embellishing invites and cupcake toppers because each packages contains two sheets of mini stickers so I was able to stretch one package to cover both my party projects! My daughter wanted a variety of desserts at her party this year with an ice cream cone bar, sugar cookies and mini cupcakes. 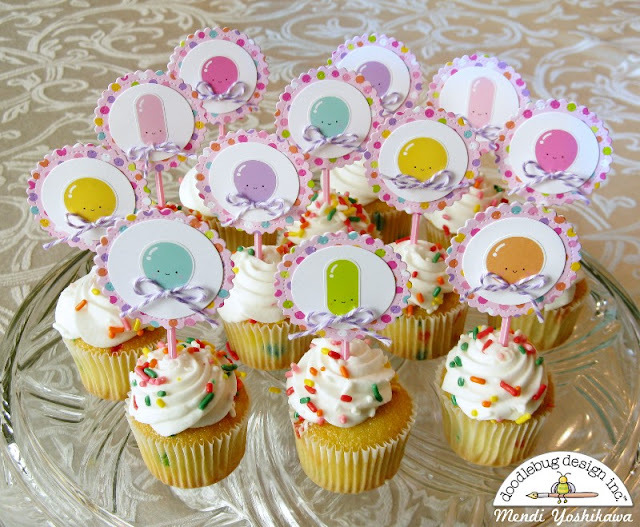 Between the two sheets of stickers that I used for my invites, I was also able to create 16 happy balloon cake toppers for these sweet mini cupcakes. 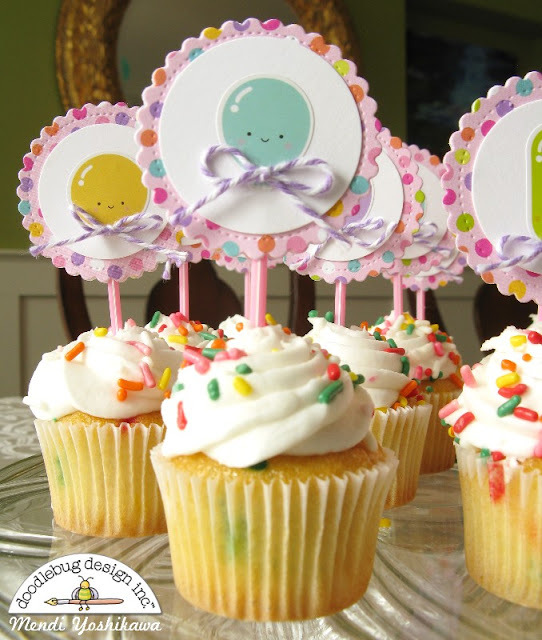 I hope I've inspired you to pull out some of your leftover paper and stickers to create projects for your next party! Projects like these come together so quickly, yet add so much fun to your events. SO CUTE!!!! Save me a cupcake please!